Martin has 20+ years experience in leading management positions at international tech companies. At IBM Martin redefined the Go To Market and Sales strategy and shaped the transformation of IBM’s Services Business – from Technical Support to IBM Global Support Services. In 2000 Martin co-founded Solve Direct which under his leadership became the world’s largest Service Ticket Exchange. Martin served as CEO until 2007, when the company was acquired by Brain Force Holding AG. In 2010 Solve Direct was demerged and Martin led the company’s global growth until Cisco acquired the company in 2013. At Cisco Martin has built and leads Cisco’s Open Innovation Programs in EMEAR (Entrepreneurs in Residence and Challenge Up!) within which IoT startups are incubated and accelerated for a 6 months cycle. This way startups work together on a global scale with Cisco Business Units and partners (e.g. Intel, Deutsche Telekom). 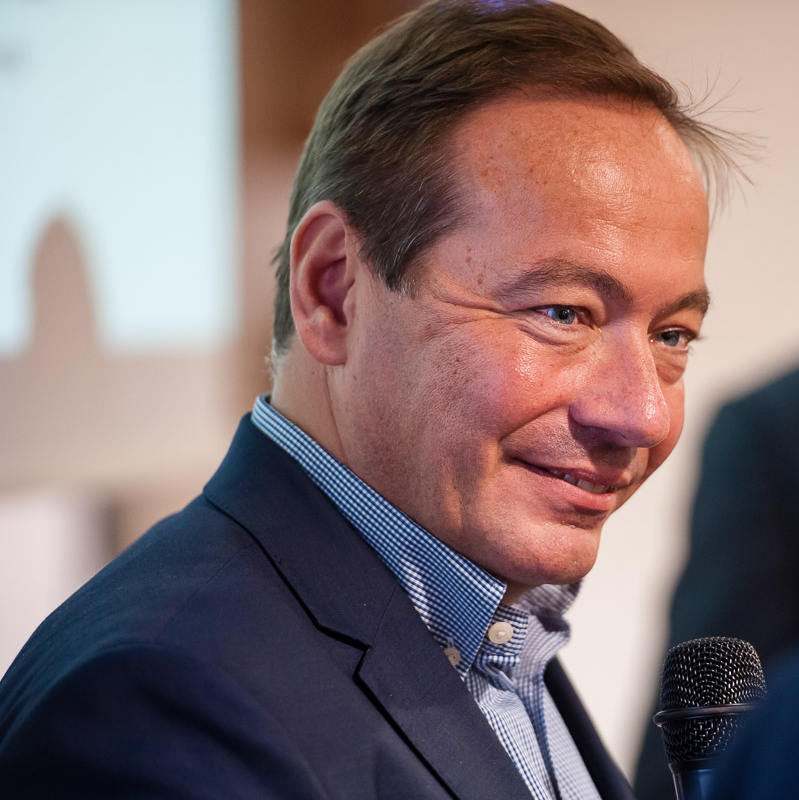 For Entrepreneurs Martin contributes his experience in VC funding, Business Modeling & -Development and integration into Corporate Structures for growth while ensuring the Co-Innovation impact for Cisco and its partners. As member of Cisco’s ‘Founders Round Table’ he contributes with Thought Leadership to the Executive Board. Martin holds a degree from the Vienna University of Economics and Business with focus on Computer Science, Marketing and Business Ethics. He is a regular guest lecturer and active supporter and mentor for startup entrepreneurs globally. Martin lives in Vienna, Austria, and enjoys spending time with his family, mountain biking, growing organic food and travel.